Well written and am persuaded by your sound convictions! 😄 better be persuaded by the Word of God then me! Bless you! 4. what are the better alternatives/ avenues of sharing new inspired songs to bless His people? 6. my last question is, should “christian song arrangers and producers, studio owners (basically the people needed the scene to put out the song)” do the arrangement and production for these bands or churches for free and rely on the Lord to bless them for the gift that God has given to them to serve the Body? If not, then how do you suggest that this can be worked out? thank you Pauline for penning your thoughts. it is a much needed voice that is needed in this era to put into perspective what God has intended. 3. Personally, I don’t think there is a need for the “worship concerts” that we are seeing now. The object of our worship is God and the key is to offer Him our worship as a body of believers which is already fulfilled in the congregation of our own churches. I must say that it is good to have huge worship gatherings where Singapore believers from different churches to come together as one once in a while, like the Global Day of Prayer. So maybe there can be one that is a nationwide worship celebration which the Festival of Praise used to be able to gather many. 4. The social media is one of the most economical way of sharing new inspired songs. It is free to use for most of the social media channels to share not only with friends, but even to the world. 5. My answer to point 3 is that “worship concerts” are not necessary for the growth of church or believers. If worship concerts are run commercially, then they should pay all whom they hire their commercial rates. 6. I am not sure how many full-time Christian song arrangers, producers, studio owners there are in Singapore. Most of them whom I know are believers doing commercial projects professionally for jobs that are not related to Christian music. I do believe the professionals should be paid as this is their bread and butter, unless it is their personal conviction to do a certain project as their offering to God. I think the more pertinent question is, do all, if not most Christian songs need to be professionally recorded? If they are to be professionally recorded, for what purpose? If God has directed a professional recording to be done, I always believe He will supply the finances. There are ministries and song writers whom I know have been working on this model and God blesses them tremendously in their outreach through the songs. Perhaps it is the ministry of the songwriter that needs to reach out first rather than thinking of having their songs recorded as a platform for reaching out. Just a side note, in the commercial world, only a very small percentage of songs written are actually professionally produced or even get an audience. Most of them are recorded as demos. Of course with the accessibility of audio recording technology, quality of demo has gone up and some songwriters have also set up home recording facilities. Hope I have answered your questions! what we really need in this season is to bring our focus back to the original meaning and purpose of worship which is what you are doing currently and i applaud you! 1) I don’t think I came across any line to has you taking a clear stand on the supposed situation at hand, which in my opinion wasn’t really spelt out either. Hi Rebecca, the purpose of this article is simply sharing my point of view with regards to worship concerts trend. My stand as explained in the post that it is a system that is counter biblical. 2) A system, is simply a sum of its parts. i.e. processes, people, activities functioning together, often in harmony. However, discourse can also be quintessential to a functioning ‘system’. So what is this system you are referring to? Can this system or parts of the system happen to be the discoursive portions that appear to be counter biblical when singled out, but still contribute to an overall working ‘system’ in the greater scheme of things? 3) Counter biblical. The way I understand this term is that if something is counter-, it goes against. Not just rebuts, or obstructs, but actively travels in the reverse direction. So what exactly is the reverse of biblical? How does one “run the biblical race” (pun intended) in the “reverse direction”. So back to your original ‘it’ and stand you’ve given, you might wanna explain how does ‘it’ actively oppose scripture? Large scale worship gatherings that brings believers from different churches are important. This is already happening even before worship concerts become a trend in Singapore. This should be done with the coming together of the churches, with oversight of the pastors. The worship gatherings should be looked upon as they would plan a usual Sunday service with consideration of the larger body of Christ. This can involve bringing in other worship teams from overseas or solely local. In this way, the centre of focus remains as God and the body of Christ coming together. Financially, with the churches coming together, they should be able to spread out among them and with offering. As for how the worship industry is counter Biblical, I have brought up 2 core points about Worship Concerts in the post that are contrary to the Biblical worship of both heart attitude and focus with scriptures. Perhaps you can tell me a little more about how you see worship concerts or worship itself. On a separate note to reply your third point, it is possible to run the biblical race without reaching the destination of being with Christ for eternity. From the response of these people, they were running the race in the direction which they believed is correct, i.e. the biblical race yet they didn’t get to the destination. The main thing is lawlessness, which is disobedience to the Word, i.e. counter Biblical. This journey is not simply about the outward demonstration, but an inward obedience or acknowledging Jesus as Lord. Our works should be the outworking of an inward obedience and knowing God. Thus it is firstly about a heart that is focused on God. Okay. So let’s back track a bit shall we? Economics. 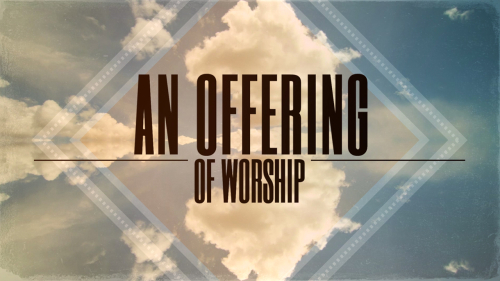 Would there be a supply of “exhorbidantly priced worship concerts” if there wasn’t demand to begin with? Governance. Taking into account religious tolerance in multiracial Singapore, and how policies have been implemented of late to allow for religious groups to practice as hybrid businesses, how would one organize a large scale religious event that is open to the public and all-inclusive (ie. non discriminatory to any groups of people) without the help of a registered business entity. Think about potential lawsuits, public liability, intellectual-property infringement, etc. Which brings us to the next point. Business. To the person or organization that put money down to rent the venue, fly the bands, rent the gear, publicize and market, where is the ROI for them? Accounting. How would an unregistered conglomerate of registered charities deal with “profits”, excess unspent donations, petty expenditure, especially in light of recent legal accusations? My whole post basically is to challenge the business behind the system of worship. There is no business as there is no transaction in worship. Worship is based on the notion of sacrifice. We cannot buy God’s favour through worship or anything we do. Worship is giving God what He is worthy to receive. Read through the Old Testament to the New Testament, there are countless examples whereby worship is costly. In the Old Testament, the offering of first fruit is painful, which modern day equivalent is 100% of the first pay cheque of a new harvest/job. In the New Testament, the alabaster jar that was broken by the woman is worth a year’s wages. Worship is not worship without sacrifice. Even though the ultimate sacrifice is Jesus, we are called to be living sacrifices before God as our acceptable act of worship or service to the Lord (Rom 12:1). The call to be living sacrifices mean sacrifice is still required, but not death. To your second point, I don’t think a blogpost will be able to achieve anything except to state my point of view and perhaps inform.